1 How to get Consumer and Consumer Secret for Twitter. Please go to: https://twitter.com/ to sign up for your Twitter if you don’t have an account. STEP 2: Creating a Twitter Application. 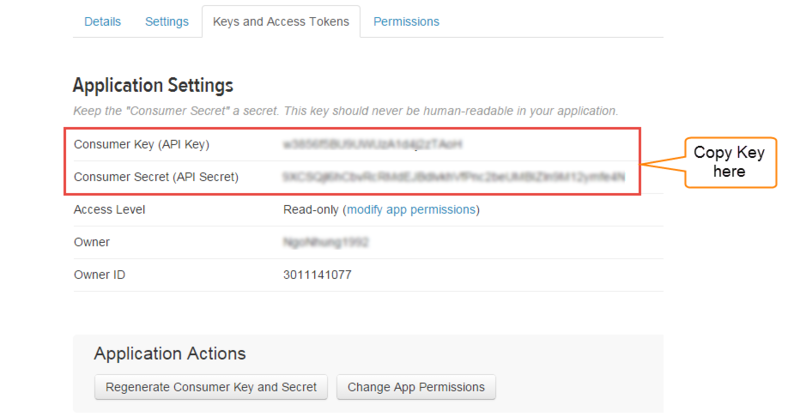 Copy the consumer key (API key) and consumer secret from the screen into your application. Here is API key for Consumer and Consumer Secret. Down key and secret and copy them. 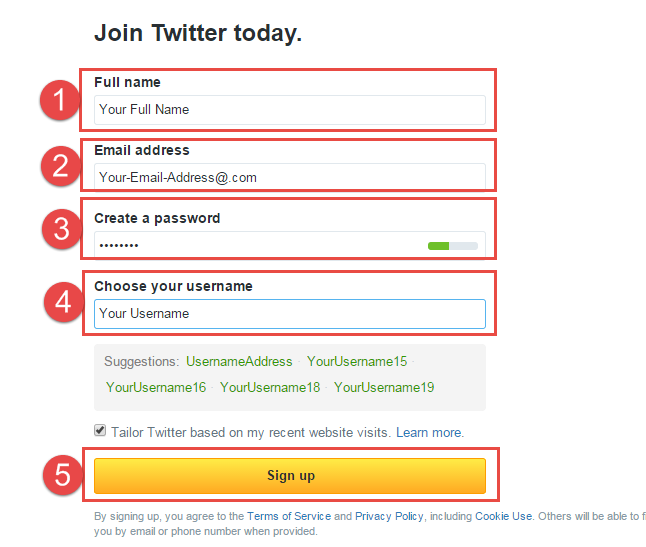 2How to get Access Token, Access Token Secret for Twitter. 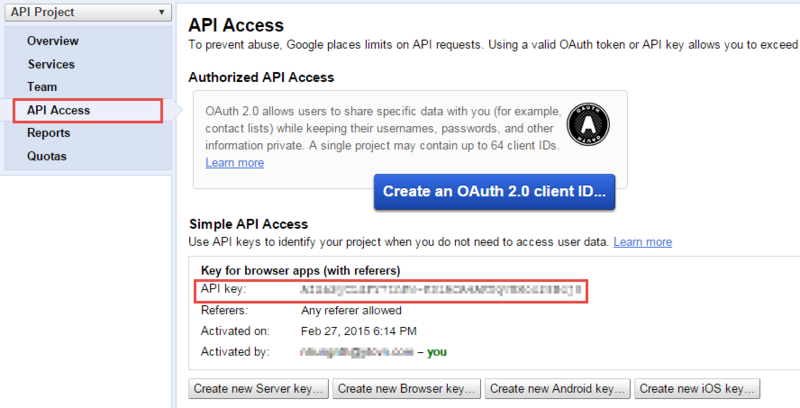 STEP 2: Here is API key for Access Token and Access Token Secret. 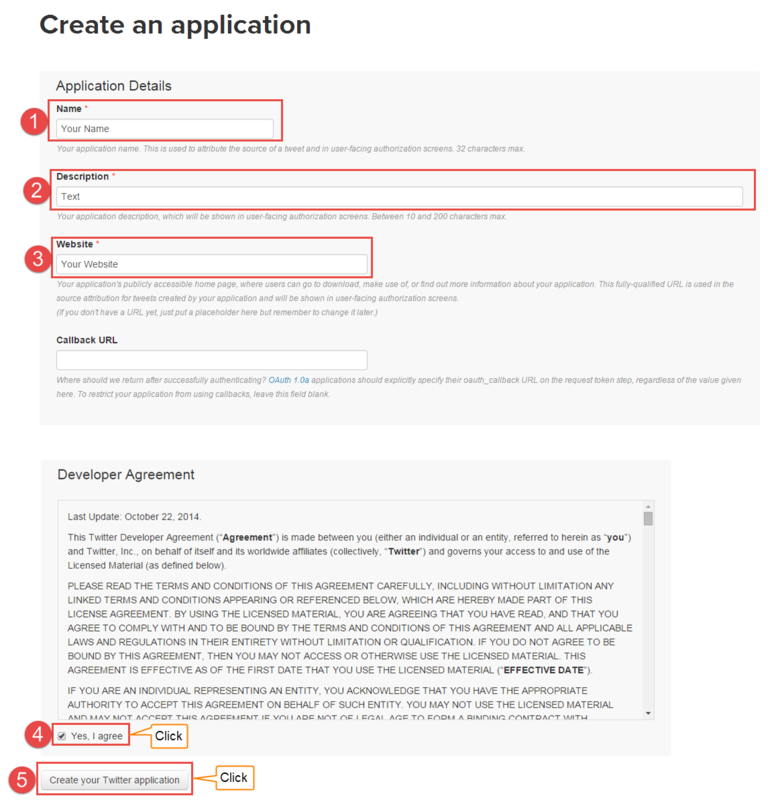 3How to get API Key for Google+. Under service list, click “off” button next to “Google+ API” to turn it on. 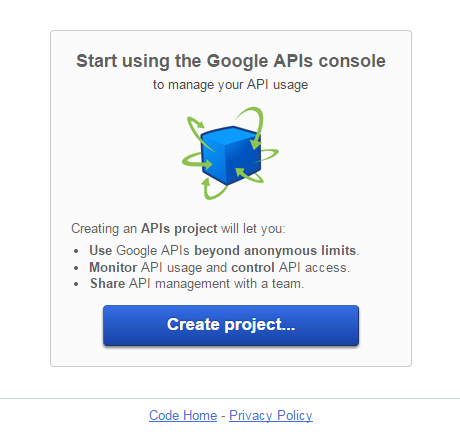 From the left menu, Go to “API Access”. Copy your API key and paste into the social media tabs settings page.